Due to the nature of litigation, cash flow for law firms can be uneven. A long-term lawsuit, involving expert witnesses, case filing fees and other costs, can be costly for a law firm as they continue to litigate the case in anticipation of a settlement. Law firm financing is one way that law firms can ensure their cash flow remains more consistent. Such law firm funding allows lawyers to have funds readily available, so they do not feel pressured to end lawsuits prematurely. Litigation funding is often available to attorneys based on their lawsuits, no matter what stage of litigation their cases are in. 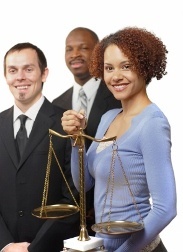 Send your Law Firm Financing request to a legal funding expert who will review your request at NO COST or obligation. Many attorneys and law firms know that the nature of the court system—lawsuits can take years before an award or settlement is announced, and even after an award the decision can be appealed—means cash flow for the law firm can be uneven. Add to that the burden of paying for expert witnesses, case filing fees, and other costs, and law firms can face periods of greatly reduced cash flow. Furthermore, attorneys who work on contingency, meaning they do not get paid until the case is over, may face even more restricted finances during the life of the lawsuit. Such financial burden may result in an attorney feeling pressure to end a lawsuit prematurely—either dropping the lawsuit or settling for less than it is worth—because of cash flow constraints. This is especially true for plaintiffs' attorneys who often times are faced with a corporation as a defendant. Opposing counsel in such cases has much deeper pockets--as corporations can typically afford to file appeal after appeal and draw out a lawsuit. Conversely, attorneys with uneven cash flow and limited resources may in the short term feel the pressure to settle a lawsuit for less than the client deserves. Funding considerations can even play a part in an attorney's decision to take on new business as doing so may prove to be cost-prohibitive. Law firm financing offers attorneys and law firms cash flow to help them through times with restricted access to finances. Such litigation financing allows law firms to pay their bills and court fees while the case is ongoing, so they are not forced to prematurely end a lawsuit. An attorney loan, which allows the attorney to grow a practice, pay for costs associated with a lawsuit, and pay for operating expenses, helps ensure the financial stability of the law firm. Litigation financing often refers to loans and lines of credit offered to law firms that are backed by collateral that consists of the law firm's cases. This collateral involves lawsuits in all stages of the litigation process, including cases that have been settled, cases on appeal and cases in their early stages. It is used for attorneys and law firms who work mainly on a contingency basis, in which they do not get paid until the lawsuit is finished, which can lead to uneven cash flow. Most law firm financing requires the personal guarantees of the law firm's principals. Interest might be deferred and law firms pay back the litigation financing from proceeds of settled cases. Having consistent, sufficient funds available can make a huge impact on the ongoing day to day business of a law firm. Law firm funding can help ensure an attorney has adequate funds available, so the attorney can focus more on the lawsuit and less on worrying about finances. If you or someone you know is interested in additional information on Lawsuit Funding for Attorneys, please click the link below and your request will be sent to a legal funding professional who will evaluate your request at no cost or obligation. New York, NY In Opinion #754 dated 2/25/2002, the New York State Bar Association’s Committee on Professional Ethics pronounced that attorneys financing a lawsuit with borrowed money may pass the interest costs onto their clients. Have you already retained a lawyer? Legal Funding is intended for those who have already initiated legal action. To submit your legal claim for a free, no obligation evaluation please click here. Is your attorney aware you are seeking pre-settlement funding? Has your attorney indicated that the case is worth at least $15,000?